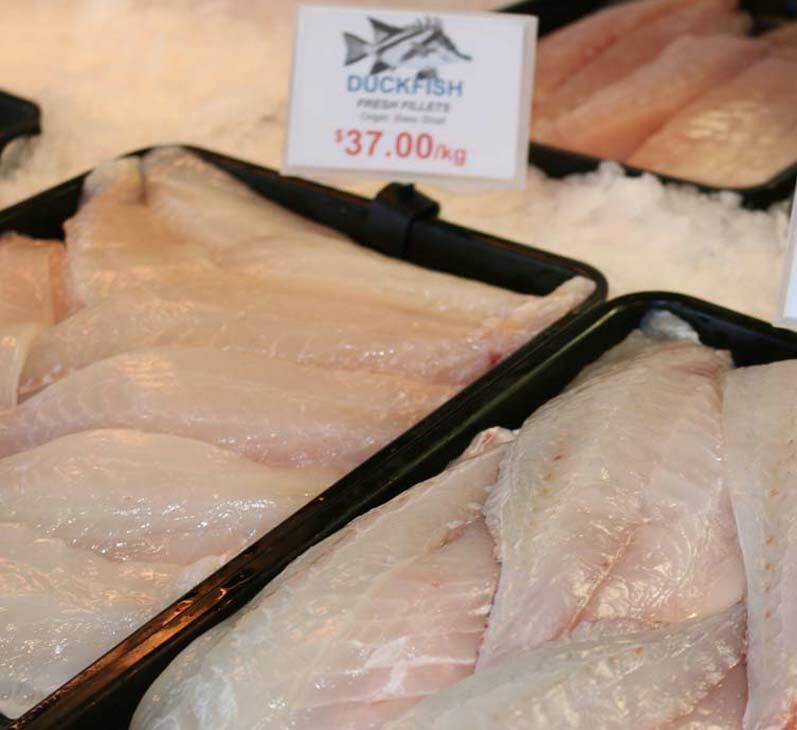 We source sustainable seafood from our own fleet of fish and lobster vessels. When you’re in town, have a stroll on San Remo jetty to check out the boats and see if anyone is unloading their catch. The delectable southern rock lobster is sustainably fished by six lobster vessels from San Remo. You can visit the Co-op for both live and cooked lobster, or purchase a succulent seafood platter featuring lobster, prawns, oysters and more. N.B. lobster season is closed mid-September to mid-November each year. Bass Strait scallops are sweet and succulent, with a rich creamy orange roe. Sustainably fished under strict conditions, the season ranges from April to December every year. We also vac-pac and freeze the best of each season, so you can get your scallop fix all year round. Gummy shark is the primary target fish for the majority of fishing boats out of San Remo. “Gummy” is sustainably caught in local Bass Strait waters, by sitting gillnets on the seafloor to target the bottom dwelling fish. Gummy fillets are sweet, delicate and boneless – not surprisingly they are the “main event” in our fish & chippery! NEW – we now sell sustainably caught shark fin in shelf stable vac-packs, ready to take home and eat. 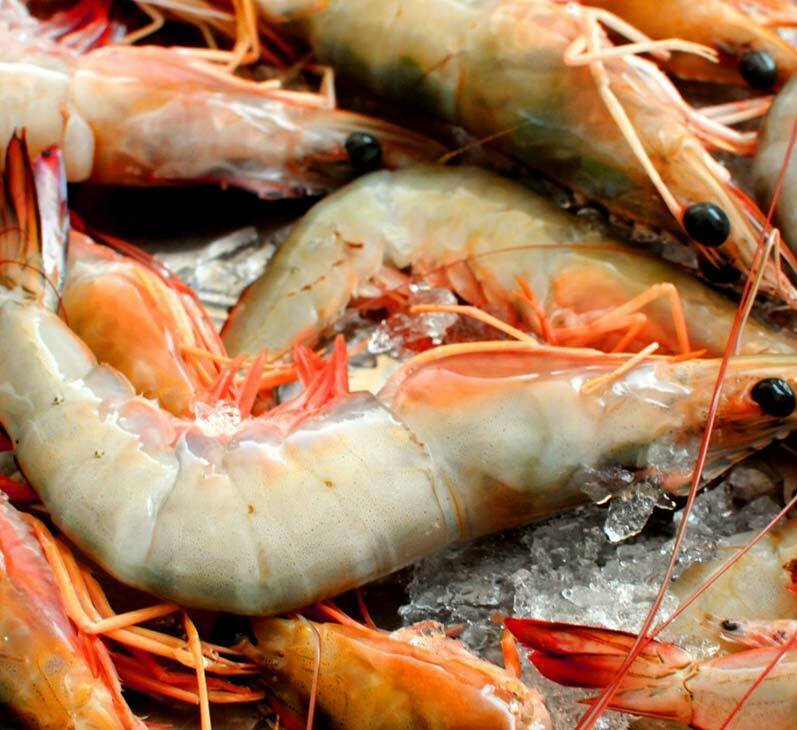 We source the best wild caught king prawns direct from our neighbours in South Australia. Choose either green or cooked – we steam a new batch at the Co-op almost every day. 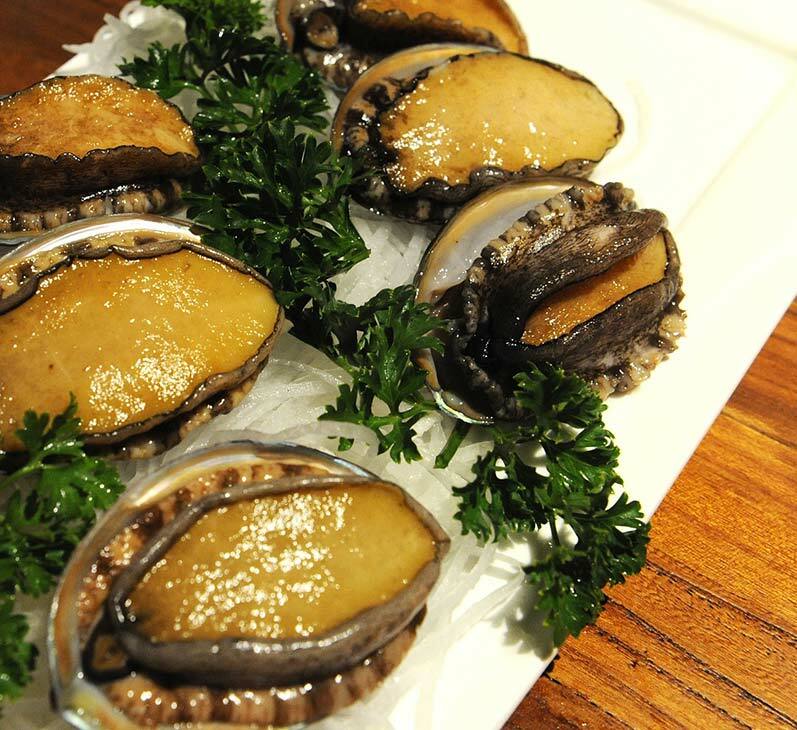 Local abalone divers brave the cold waters of the Victorian coast to bring us the prized blacklip and greenlip abalone. We sell both species in shelf stable vac-packs and cans, ready to eat, and with a variety of seasonings. We sell both species in ready-to-eat shelf stable vac-packs – perfect for travelling. Keep an eye out for a local secret – the duckfish (also known as boarfish) is one of the best tasting fish in Bass Strait. With very firm flesh and wonderful flavour, if you see it on display or on our menu, give it a try – you won’t be disappointed!